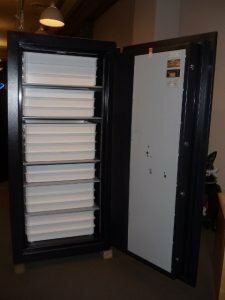 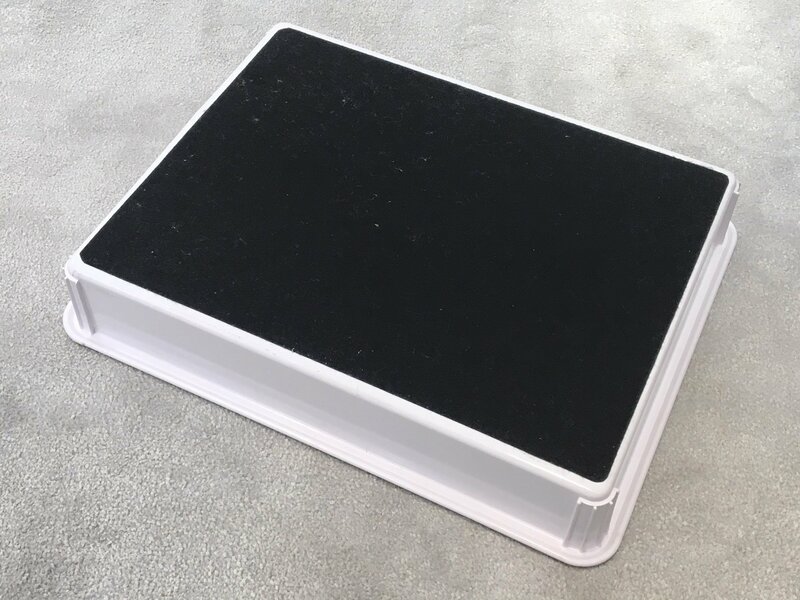 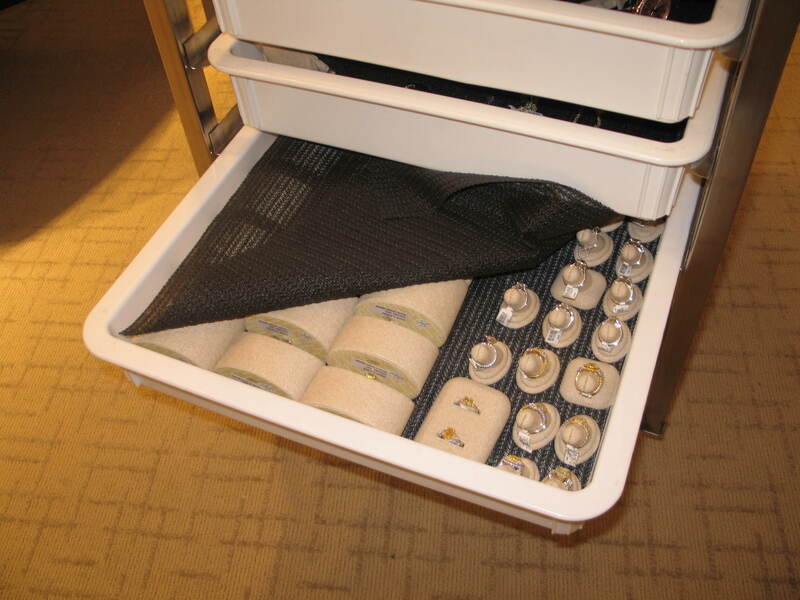 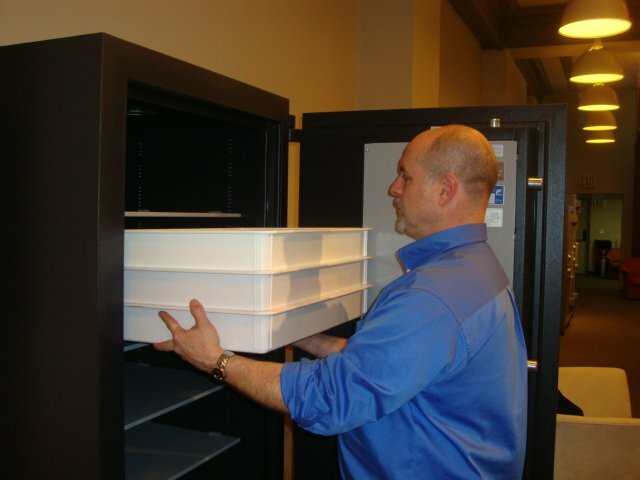 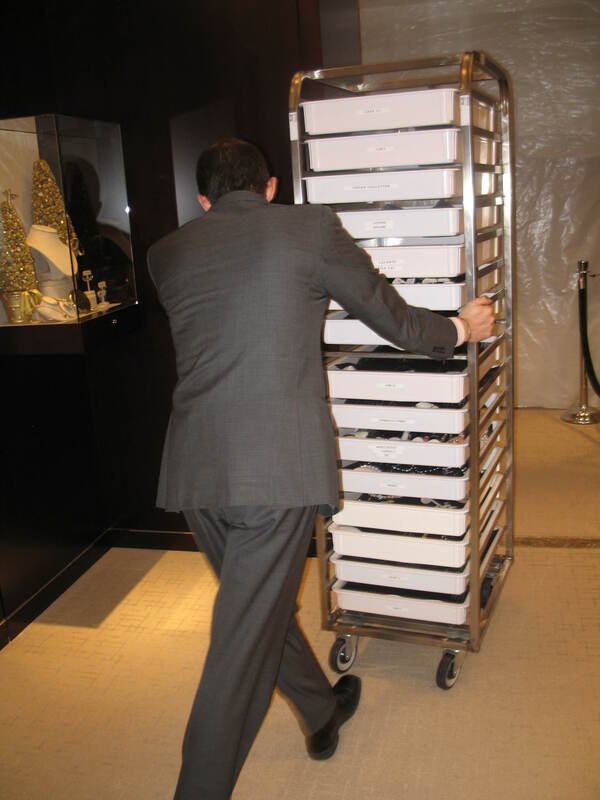 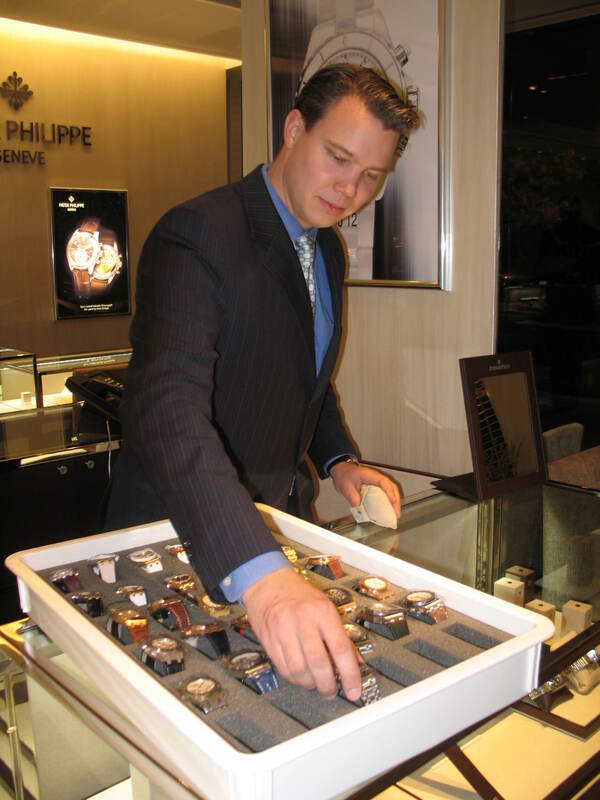 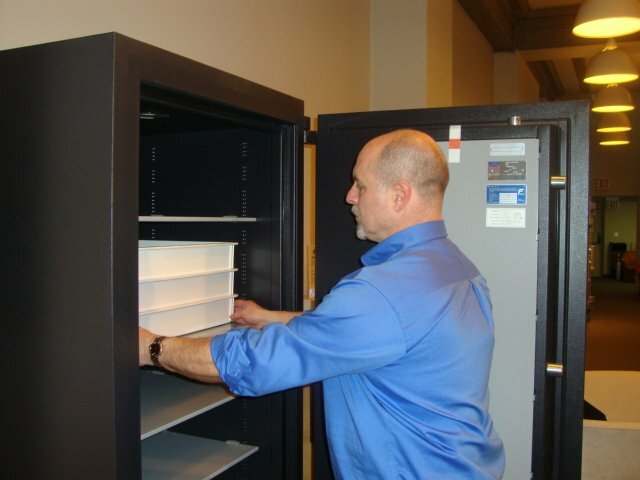 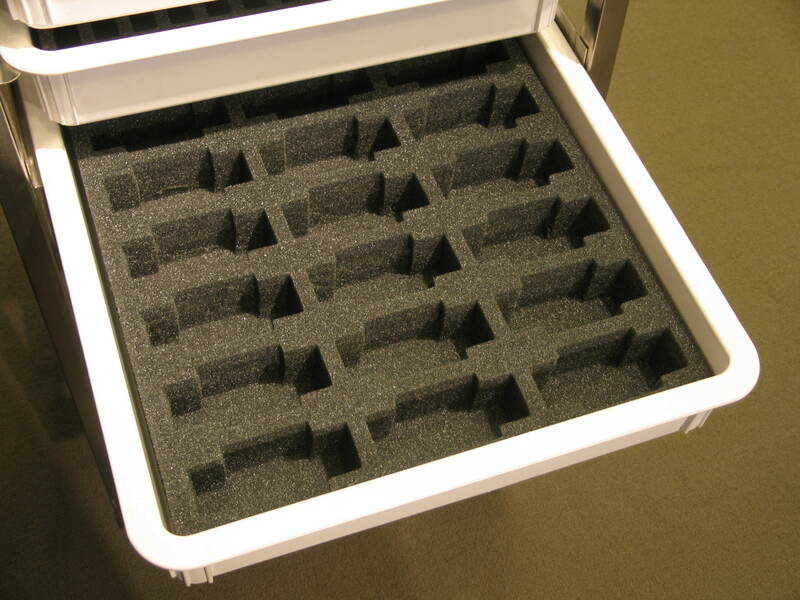 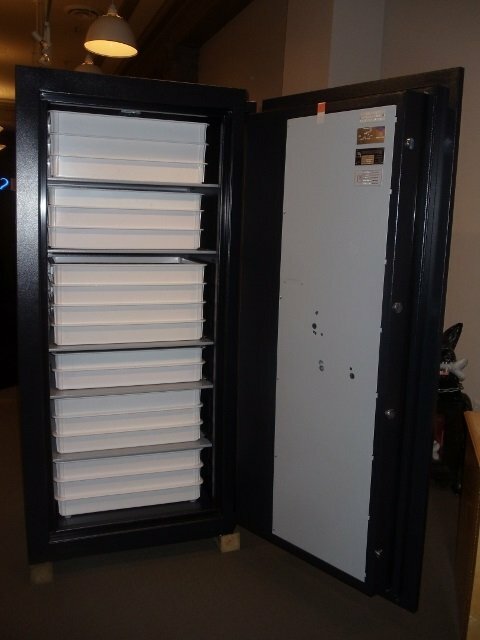 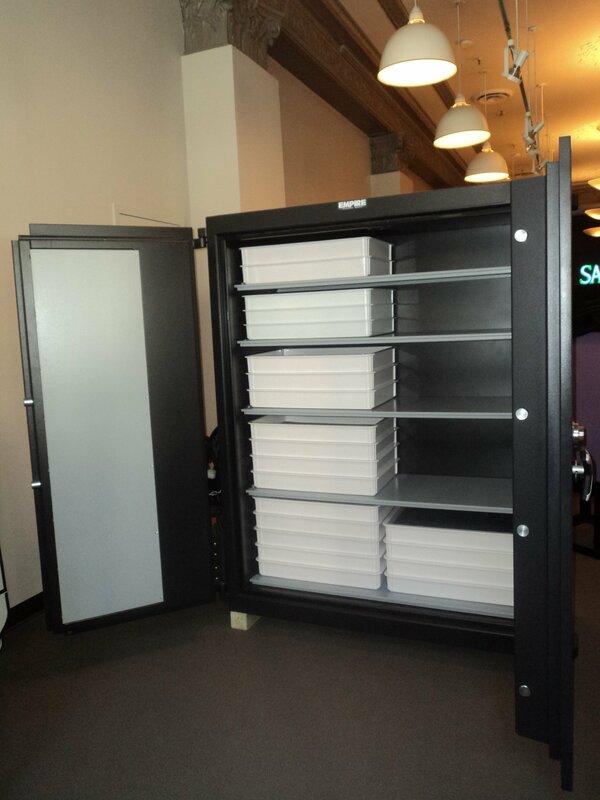 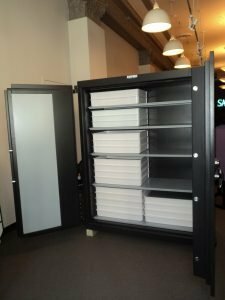 We have created a solution for the efficient storage, organization and transport of fragile and valuable inventory from the vault (or safes) to the showroom and back. 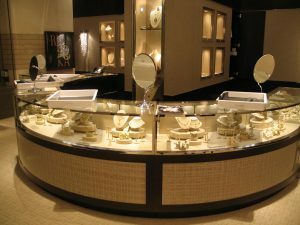 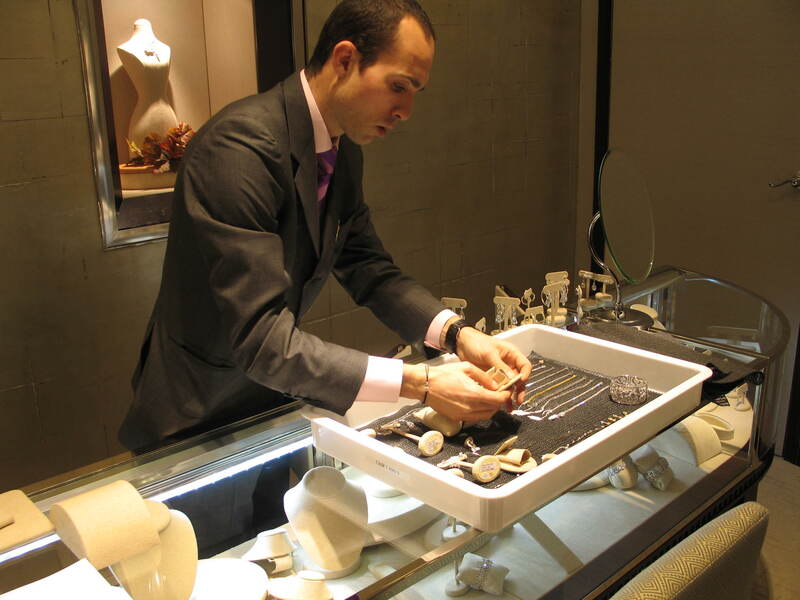 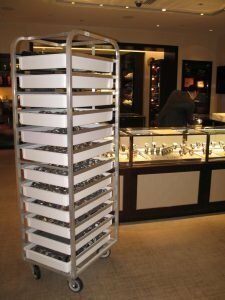 For the retailer, carts enable you to open and close your store quickly, reducing the cost of labor on a daily basis, while at the same time helping assure that merchandise will be protected from damage. Employees will be much happier and appreciate how easy it is to open and close the store, knowing they are less likely to damage merchandise as well as will be able to leave work earlier at the end of the day. 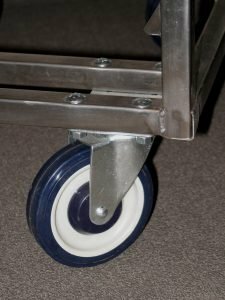 For the manufacturer, wholesaler, and distributor, carts allow merchandise to be organized according to departments where work in process can be easily transported from the vault to these areas for distribution to personnel. 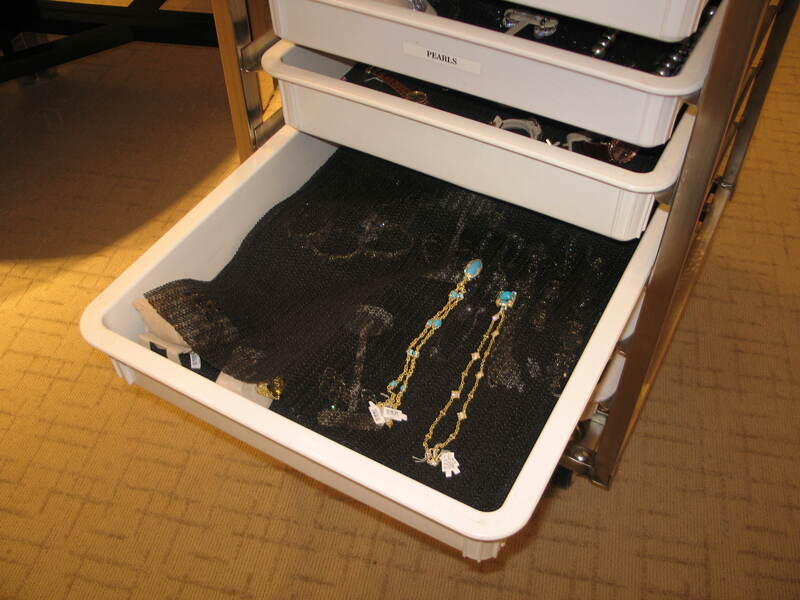 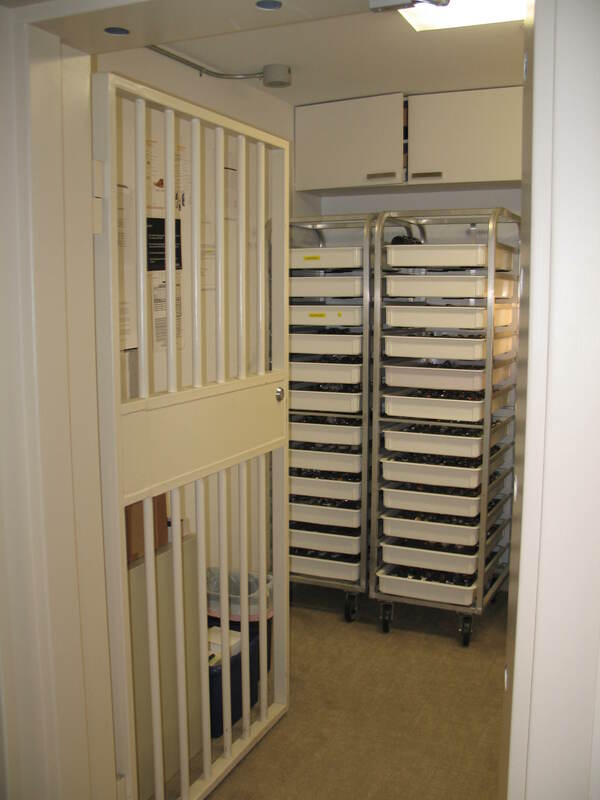 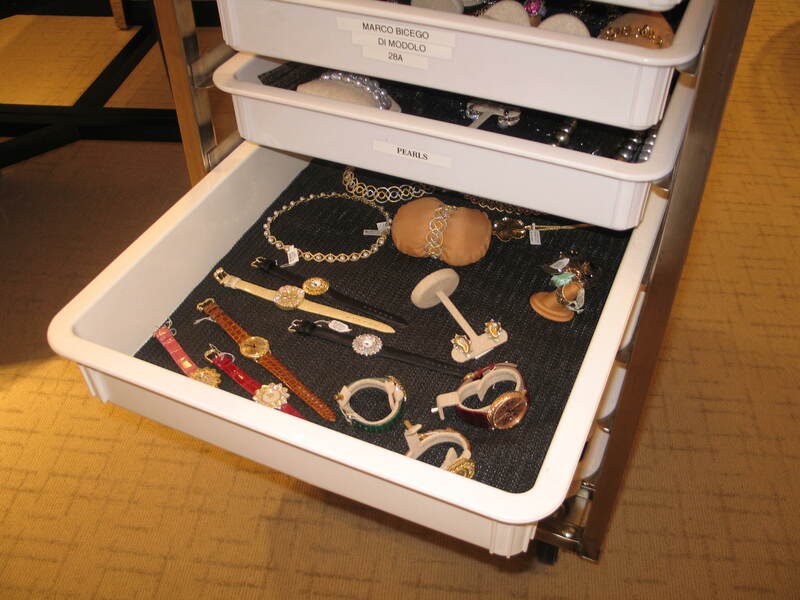 Carts are then used at the end of the day to “round up” items to be stored within the vault overnight. 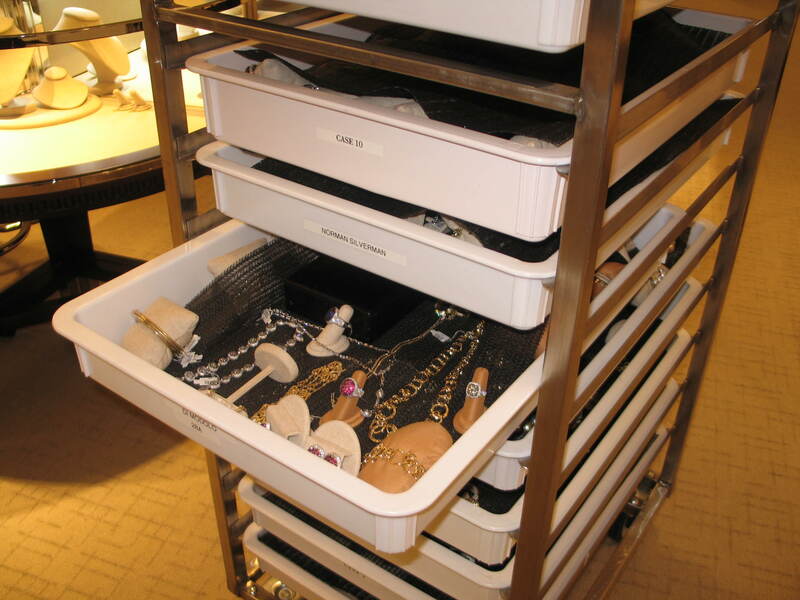 The products are then left on the carts instead of being stacked on shelves, making it easier for the distribution of everything the following day. 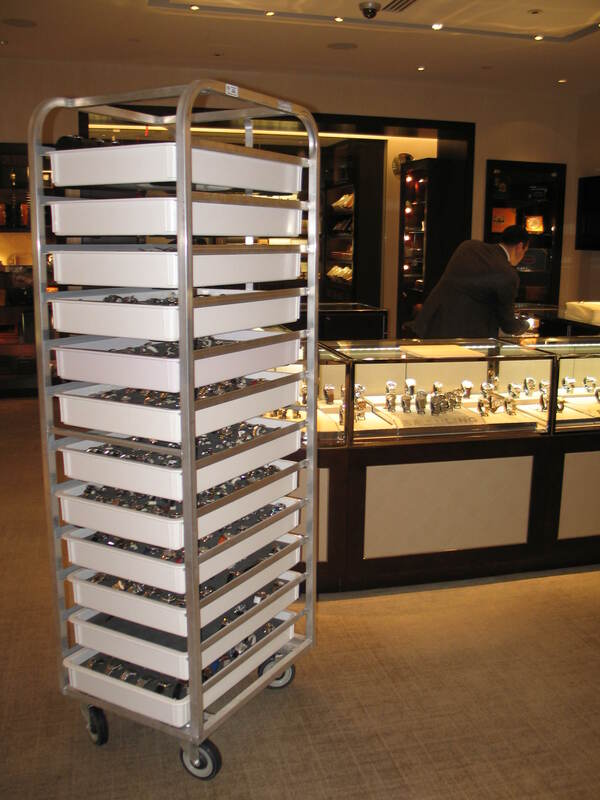 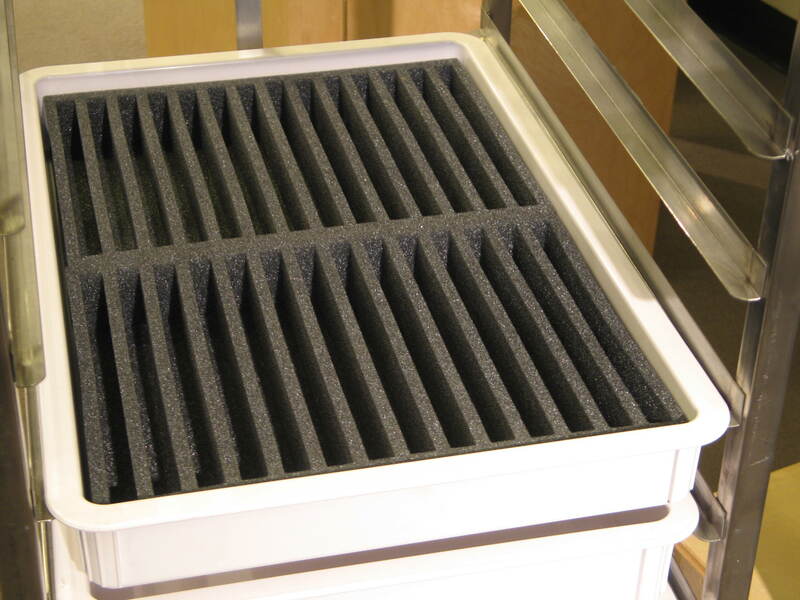 Carts can be customized to meet your needs and can be modified in all dimensions to accommodate your particular requirements, whether you need more height for taller displays or have floor boards that require a different width and/or length. We’ve made carts that are shorter so one can see over the top as they transport them throughout the premises. 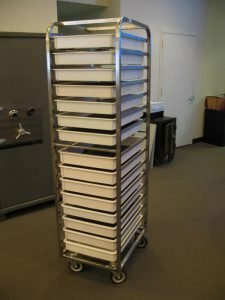 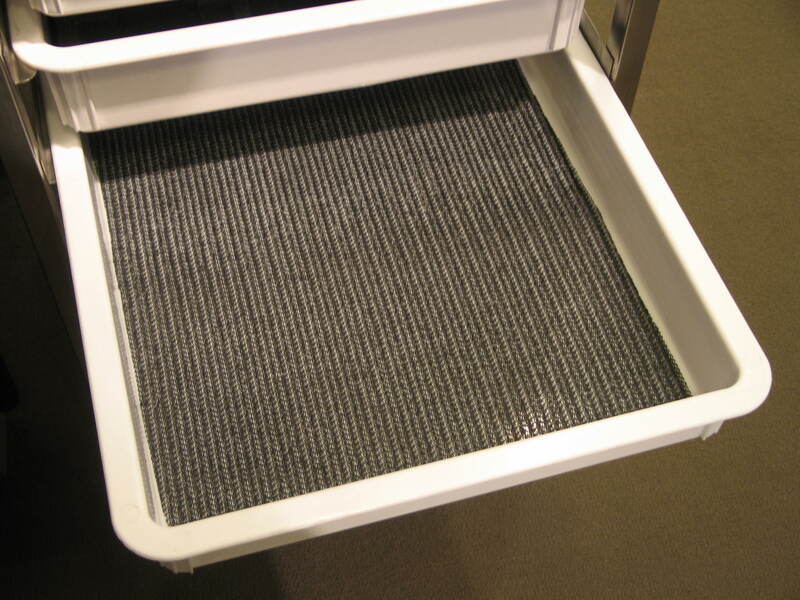 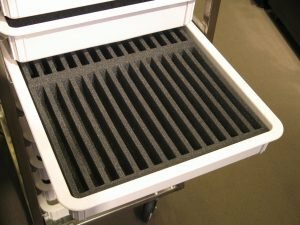 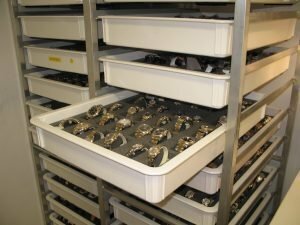 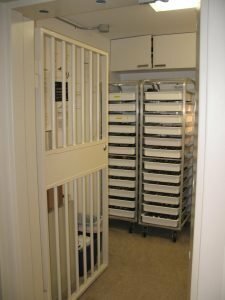 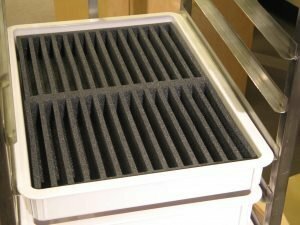 We also offer shelving that can be installed in place of our white storage trays that some use for the placement of their own storage trays. Just let us know your needs and we’ll come up with a solution.